The global description of the OT Station design can be found in the Introduction . 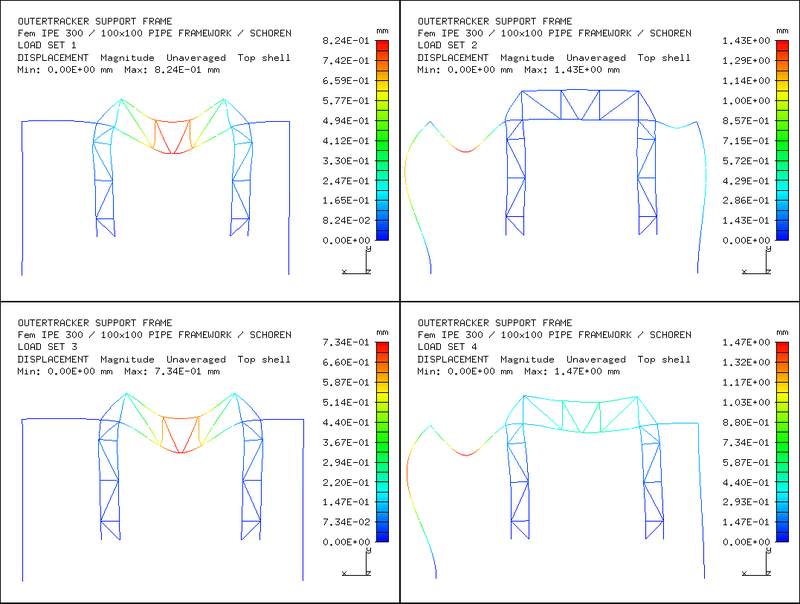 To optimize the design of the Support Bridge , various Finite Element Models (FEM) were employed, two versions of which are shown below . 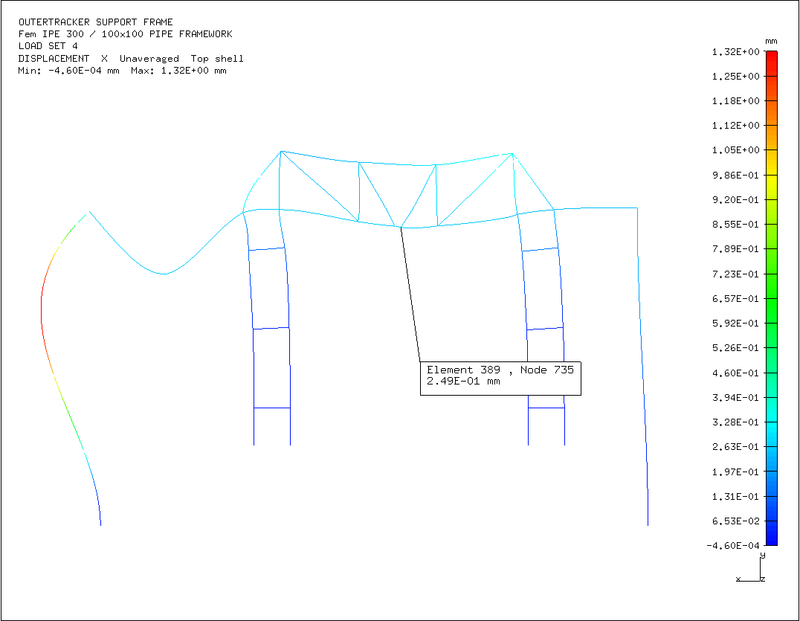 FEM of Support Bridge: "light" version (left); "reinforced" version (right). Load sets: OT in position (top left); OT slid out (top right); full load in the center (bottom left); half OT slid out (bottom right). 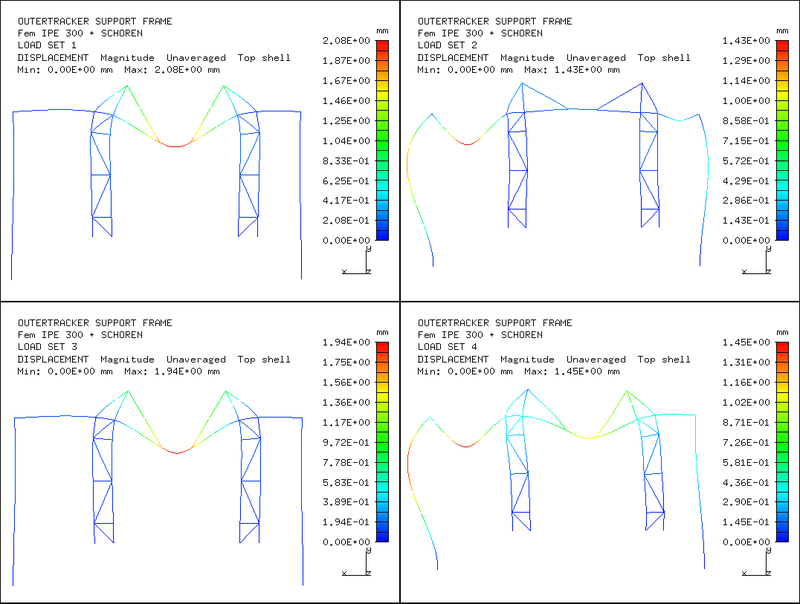 The vertical displacements calculated in the FEMs shown above as a result of applying these load sets are shown in the pictures below. The results show that large improvements in the vertical stability can be obtained by reinforcing the upper structure as in the second FEM. Horizontal displacements have also been calculated, e.g. results for Load Set 4 are shown in the picture below. Vertical displacements under four load sets in two FEMs. Horizontal displacements under Load Set 4.